I love collecting chilli varieties from places that I go to. For me these chillies represent the food and spice culture of the region. On one of the trips to India, I managed to get my hands on this bird's eye chilli from a village in Thekkady, Kerala, India. 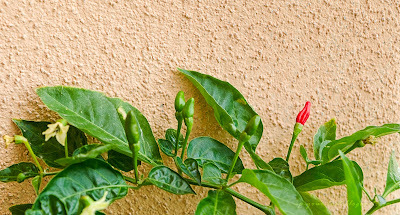 The bird's eye chilli or Kanthari as they call it, comes in many size forms. I was told that the smaller the fruit, and the more intense the heat, the better the Kanthari is. The bird's eye chilli collected from Thekkady. 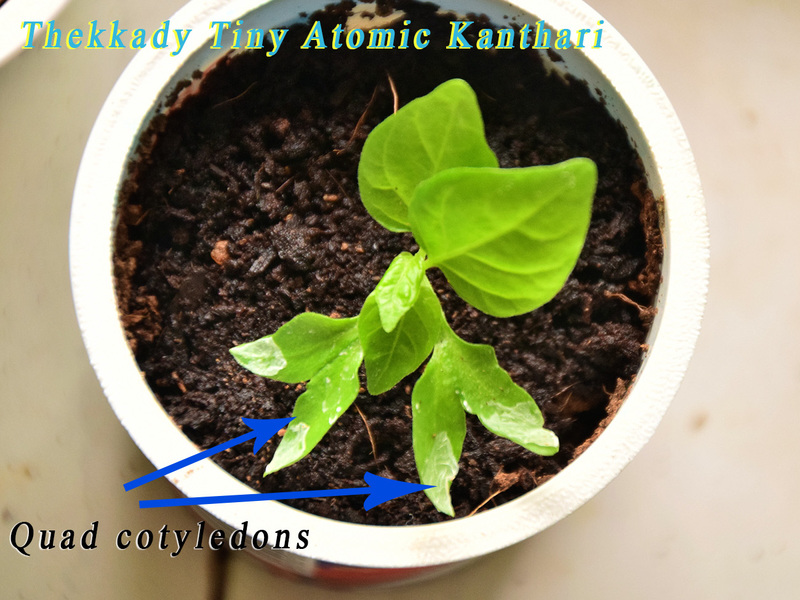 So this Thekkady Kanthari (I like to call it Thekkady Tiny Atomic Kanthari) that I picked up from the local is a tiny, thin fleshed but explosively hot type. They also dry it and use as a dried spice. Whilst the fruit is a juicy berry when ripe on the tree, they can dry out if are left on the tree since the fruit walls are thin. I found that when it was grown here, the fruits will eventually dry on the plant, if the weather is good and no birds get to them. The fruits are at most 1.5cm long, but usually shorter, thus looking very much like a rice grain, only larger. Perhaps that is why we call those chilli - cili padi (rice grain chilli). This Capsicum frutescens variety is small-fruited, but boy do they pack a lot of heat, for one is enough to make a bowl of tom-yam soup spicy hot! The little fruits are plentiful and will dry on the tree if left alone. Thekkady Kanthari from the balcony - the longest is only 1.5cm long. On this batch seeds sown, I managed to get a polycotyledon seedling. Polycotyledon in Capsicum are controlled by three non-allelic genes, that is why you seldom see them expressed. In tomatoes, the polycotyledon trait is associated with abnormal flower parts and inflorescence, and hence poor fruit production. This is apparently is the same for chillies. 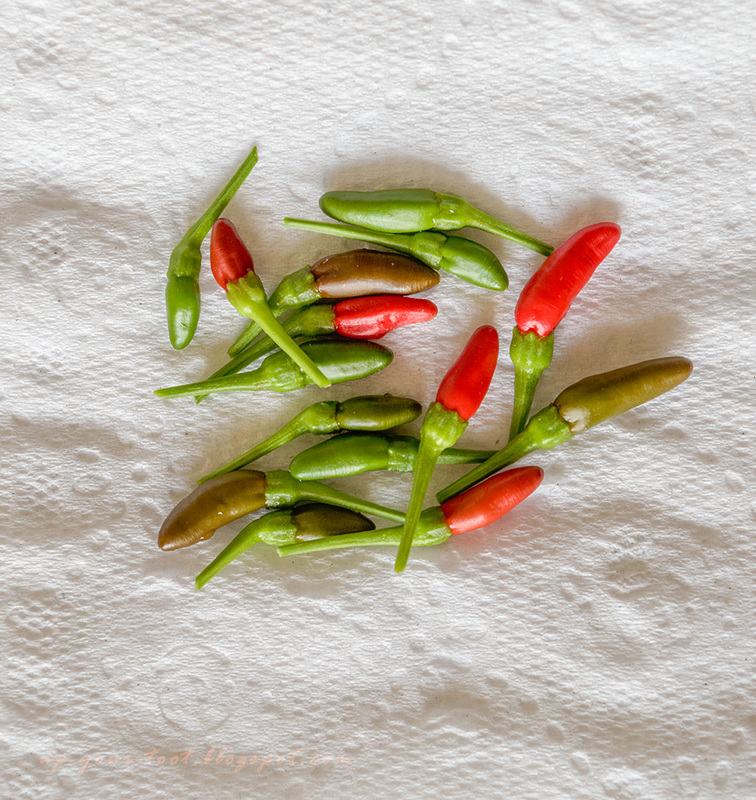 However, one grower in The Hot Pepper forum had polycotyledon chilli that produced more yield than normal ones. 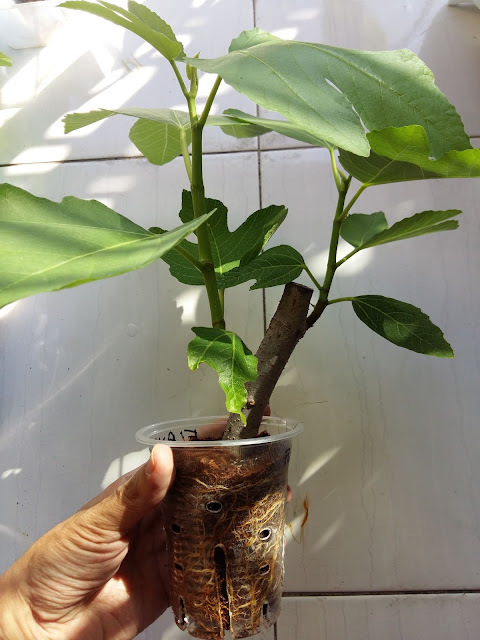 So I am keeping this seedling to see how fruit set and yield are affected by this trait. 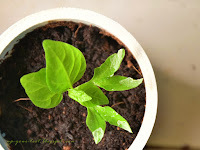 The odd quadruple cotyledon seedling. The first leaves are also twisted to one side. 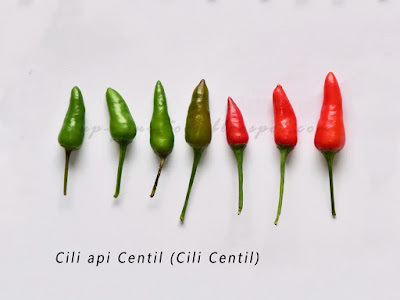 Most of the bird's eye cili (Capsicum frutescens) you get in the supermarket in Malaysia are from Thailand, the dark green, slim and rather long ones. 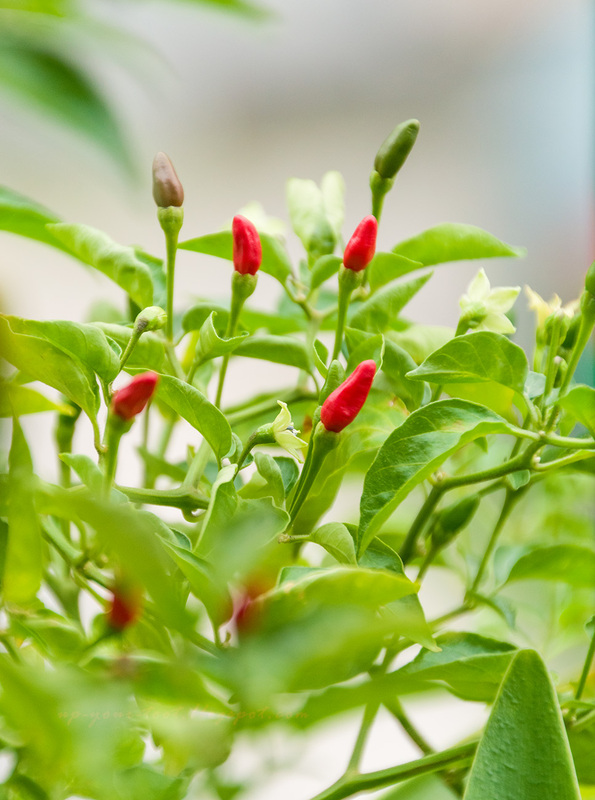 Whilst they are hot, the heat isn't that intense and is considered to be on the lowest rung for bird's eye chilli varieties. There is another variety that is also common locally, and spicier than the Thai version - this is the Cili api Centil. It is also marketed as Cili padi Kampung. The fruit of Centil is usually 1 - 1.5 inches long, but can go up to 1.8 inches long and they are about 0.5 inches wide at the base and tapers to a point. This gives the chilli a pyramidal bullet-shaped appearance. The unripe fruit are a light, shiny green and matures to a slightly darker green before turning brownish (red plus green) and then to a bright red colour when fully ripened. They are supposedly a productive variety but susceptible to leaf curl disease caused by viruses.